Presented by Dark Matter Coffee and 3Run2 Running Club! The Humboldt Mile is a USATF certified, chip-timed one mile race that will take place on Saturday, June 1, 2019 in Humboldt Park. This event is a celebration of life, with 100% of the proceeds supporting Hope For The Day’s Proactive Suicide Prevention programs. With early registration, participants are guaranteed a Nike race day shirt. Wave 1 Step off with fifteen-minute spaces between each following wave release. Participants will seed themselves with self-identified running ability or desire on the registration form. All levels of physical ability, families, children and pets are welcome to participate and join the fun. The Starting line is at North & Humboldt Blvd. We strongly encourage the use of public transportation as parking will be limited to public streets. By Car: Parking will be available along North Avenue (pay box! ), California, and Kedzie. Plus the west side of Louis Munoz Drive is accessible from Division. (Refer to event map below). 2. Who can I contact with any questions? 3. Is The Humboldt Mile Run chip-timed? 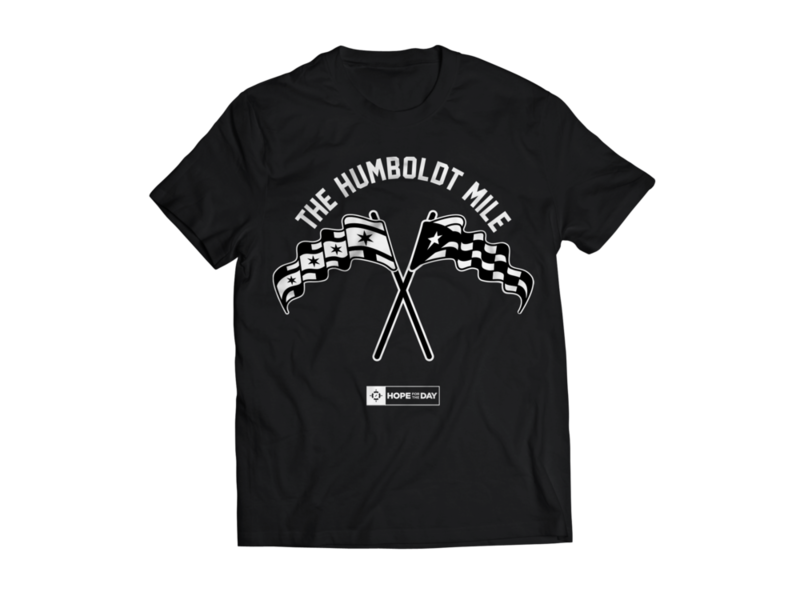 The Humboldt Mile is chip-timed on a USATF certified one mile course. 4. Do I have to wear the shirt provided? We encourage you to wear the event shirt but you are free to dress/express yourself anyway you choose. a) If they want to be timed and receive an event shirt, they must register as a participant. b) If they simply wish to participate they are free with any registered adult. 6. Are pets allowed at the event? Yes, pets are welcomed at the event. They can join the walking group on the course, which will be seeded last. (a) They should be leashed & (b) Bring bags to clean up any defecation. 7. Can I get there via public transportation? 8. Do I need to bring cash or credit cards? There will be free water, and an opportunity to obtain other beverages by donation, cash and credit cards will be accepted. There will be food trucks as well. 9. What do I need at check in? A printed or digital copy of your registration. 10. Do I need my ID? It can help locate your registration in the event you do not bring a physical copy. 11. How will runners be seeded? Runners will be seeded according to their declared ability in the registration form. Yes, spectators are encouraged to come out and support along the course. Ideal locations are along Humboldt Blvd straightaway at the start or the finish line. 13. Will there be parking? There is public parking available within the park and on city streets where available. 14. Will weather affect the event? We intend to have a safe event for all. If the weather proves to be dangerous to participants it is at the full discretion of the event directors in conjunction with the City of Chicago and Chicago Park District officials to determine if the event must be cancelled due to adverse weather conditions. THERE IS NO MAKEUP DATE OR REFUNDS IN THE EVENT OF A CANCELLATION.